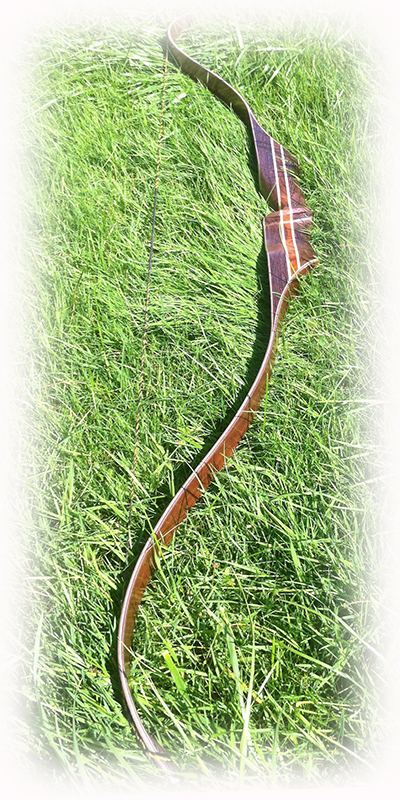 longbows from swissbow are all built in the deflex / reflex design. they offer a well balanced combination of amazing performance and a great handling. different arch profiles as well as the possibility to adapt the draw characteristic to your own wishes offer a great variety of possibilities to combine, so that everybody can find the perfect bow. 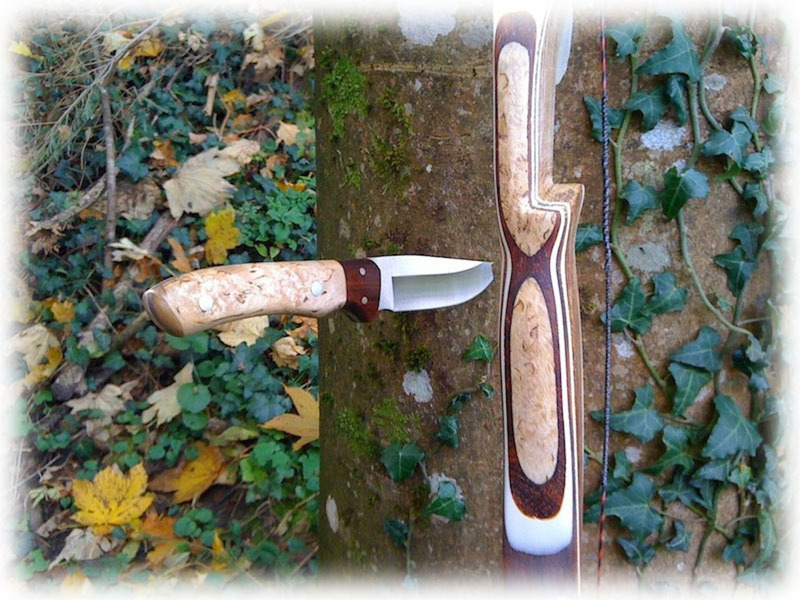 for the limbs of the bow we usually use laminated bamboo, hard maple, cherry or walnut as the core of the wood, which is laminated together with an attractive decorative veneer under transparent glass. these woods offer best restoring properties, have a soft draw and a very pleasant appearance. the deflex / reflex design guarantees maximum energy storage without sacrificing stability and good handling. 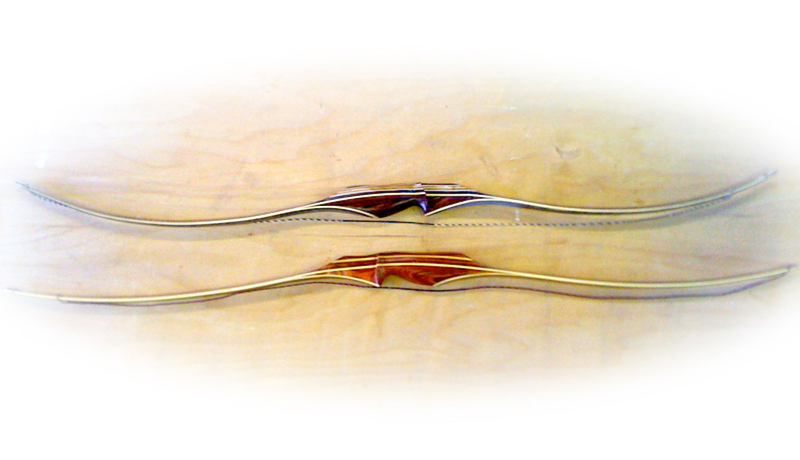 we can build the limbs of our longbows with a 'forward trapezoidal' cross section for an optimal performance. for the riser piece, heavy woods such as rosewood, osage, diamondwood or similar are used, which give the bow extra stability and calm during the draw and the shoot. as handle options locator grip, pistol grip or forward grip are available for selection, which can also be adjusted individually. swissbow longbows are available in lengths of 62, 64, 66 and 68 inches and the draw weight can be chosen from 30 to 70 lbs in train weights. 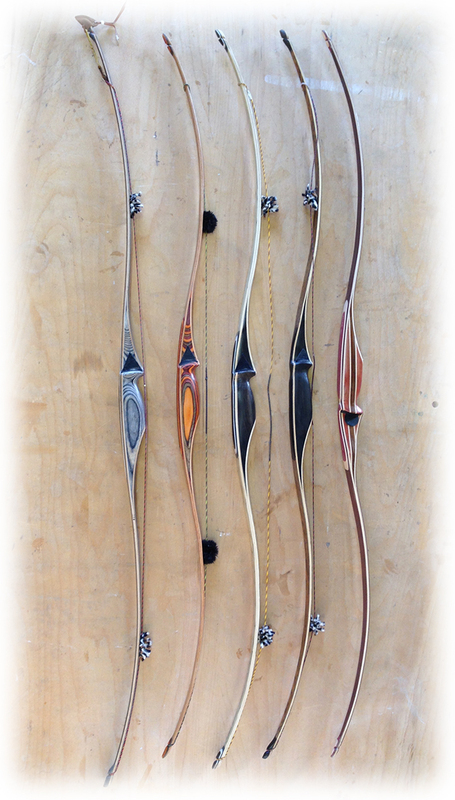 swissbow recurve bows combine perfect handling with outstanding schooting performance. hard maple, walnut or layers of glued bamboo together with a thin layer of carbon are usually used in the wood core of the limbs. these pieces are laminated under transparent glass with an attractive decorative veneer. Alternatively, black glass can be used. the forward built riser, which uses heavy woods such as diamondwood, osage, wenge or similar, provides exceptional stability and calm during the draw and the release. the handle can of course be adapted to the demands ( hind size ) of the schooter. swissbow recurves are available as one piece modelle, in einer length of 62 inches draw weight from 30 - 70 lbs.